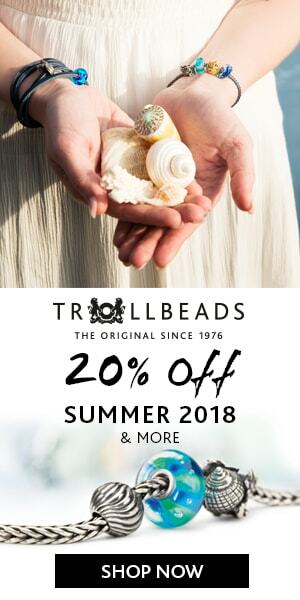 Falling in Love with Trollbeads Refresh! Today Beadsaholic brings news of a Trollbeads Refresh of the Falling in Love with Trollbeads Collection! Starting today Trollbeads has added Strawberry Quartz to their Falling in Love with Trollbeads Collection! You can now buy this bead in several different sets and save up to 40% off regular retail. The Falling in Love with Trollbeads Collection consist of Strawberry Quartz, Feldspar Moonstone, Lapis Lazuli, Amazonite, Black Onyx, Amethyst, White and Pink Pearls. You will find that Trollbeads offers these stones in several different sets. We all love stones, and this is a great way to add to your collection. Featured here in this article is the Summer Berry Bangle set. With Sea Shells it reminds me of a beautiful sunset over the beach, I love the soft shades of pink going across the sky as if an artist just made the stroke with his paint brush. Strawberry Quartz can be bought alone or in a set. It’s also great alone in a stack. Perfect for hot summer days! Over all, you can’t go wrong with this deal as it’s always nice to have a couple of extra bangles or bracelets around and beautiful stones that mix well in any composition! 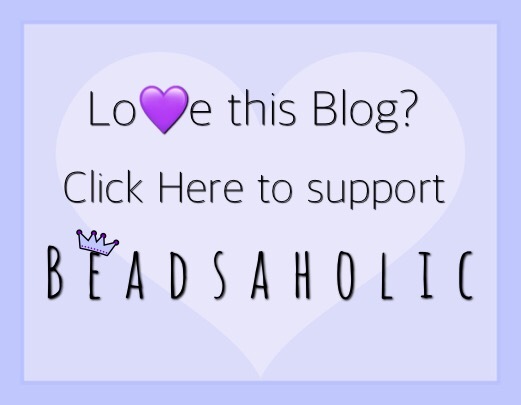 If you would like to shop the Falling in Love with Trollbeads Collection you may do so at either banner links below. Please note that Trollbeads USA is an affiliate link and they only ship with in the USA; however, Trollbeads Gallery ships world-wide! Please note, that all Trollbeads shown here in this article are also available separately at Featured Retailers in Europe; however the Falling in Love with Trollbeads promotion is only available at USA retailers. If you are like me, then you find the bangles perfect during the summer heat. Have you tried the Trollbeads bangles? Do you have a favorite stone? I’d love to hear your thoughts about this promotion, so leave me a comment below.